He broke off the thumb of a Terracotta Warrior and then he got a break of his own — in court. A mistrial was declared on Tuesday in the case of a young Delaware man charged with snapping off a digit from one of China's revered cultural relics at a Philadelphia museum in December 2017. After deliberating for 11 hours, the jury of seven men and five women was unable to reach a verdict in the trial of Michael Rohana, 25, who was attending a Christmas-themed "ugly sweater party" at the Franklin Institute when he entered a closed exhibit of the ancient statues. US District Judge Petrese B. Tucker dismissed jurors just after 4:30 pm, as Rohana's family and supporters shook hands and hugged in the courtroom. Prosecutors said they would decide by May 15 whether to retry the case. 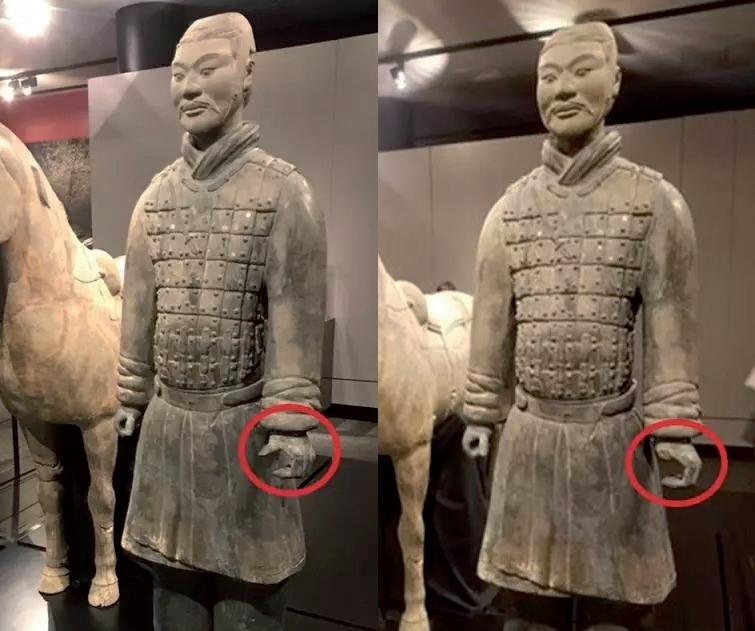 Authorities said Rohana took photos while posing next to the 2,200-year-old statue known as "The Cavalryman", valued at $4.5 million, then removed the statue's left thumb and put it in his pocket. The incident was caught on surveillance cameras. Though Rohana, a shoe salesman, did not deny he broke off the thumb and took it home, the jury deadlocked on charges of theft and concealment of an object of cultural heritage, The Philadelphia Inquirer reported. Rohana's lawyers successfully argued he wasn't charged under the proper law. "These charges were made for art thieves — think like Ocean's Eleven or Mission: Impossible," federal public defender Catherine C. Henry said in closing arguments. Rohana "wasn't in ninja clothing sneaking around the museum. He was a drunk kid in a bright-green ugly Christmas sweater." In her closing, Assistant US Attorney K.T. Newton dismissed those arguments. "Michael Rohana deliberately broke the thumb," Newton said. "He took it out of the Franklin Institute and he took it home. That is theft. That is stealing." As soon as he made the break, Rohana testified, he knew it was a mistake. He slipped the statute piece into his jeans pocket and bolted from the room. "Every time I see this video now, I'm trying to figure out, 'What was going through your mind? What were you thinking?'" he testified. "I don't know how I could have been so stupid." After the FBI's Art Crime Team identified Rohana as the suspect and confronted him at his residence, he confessed and handed over the thumb, which he had kept in a desk drawer. The Franklin Institute said it has taken steps to avoid similar situations and is "grateful for the work of the US attorney's office and the FBI in investigating and prosecuting this case". The thumb was returned last year to officials in Northwest China's Shaanxi province, but Franklin Institute representatives told the jury it has not been reattached. "The Cavalryman" is one of the few fully restored soldiers of the thousands recovered in fragments after they were discovered by a rural farmer in 1974 in the tomb of China's first emperor, Qin Shi Huang (259-210 BC). They were part of a "Terracotta Army" that provided after-life security at Qin's burial complex. The Chinese government strictly regulates research and restoration of the statues and has prohibited their purchase or sale. The Franklin Institute was one of two US museums that Chinese officials permitted to host a traveling exhibit. 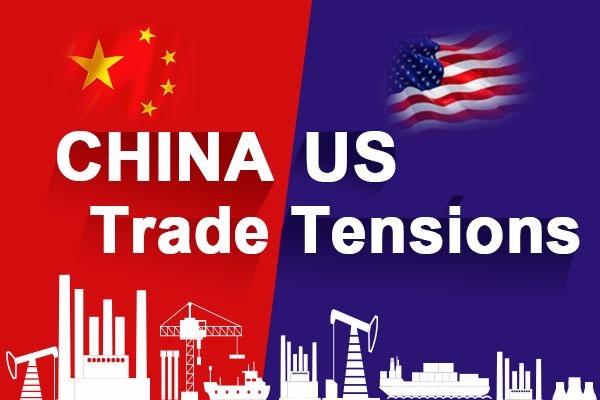 The Shaanxi Cultural Heritage Bureau said in April 2018 that cultural exchanges between China and the US would not be affected by the incident, but security measures for high-value cultural relics would be improved. "Terracotta Warriors, with their priceless cultural, historical, aesthetic and academic value, are among the most precious treasures of the nation," said an employee with the bureau. 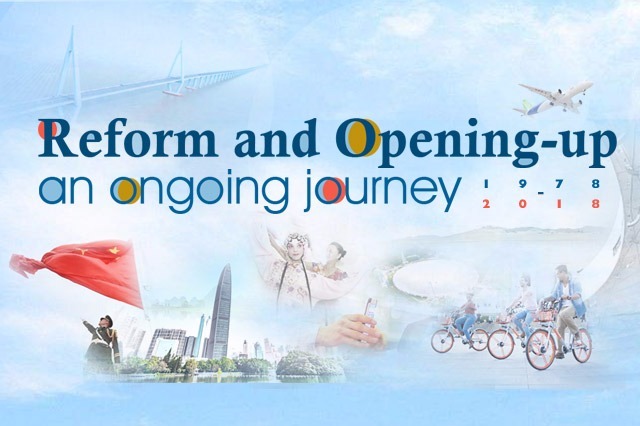 "The exhibition of cultural relics overseas can not only promote a nation's culture, but also promote communication between different countries," Wu Haiyun of the Shaanxi Cultural Heritage Promotion Center told China Central Television in February 2018. "With a heightened awareness of (protection of cultural relics), we should display cultural relics as much as possible and put on exhibitions outside showcases if possible," Wu said. Wu said there were more than 8,000 pieces of Terracotta Warriors, horses and chariots found in the Mausoleum of Emperor Qin, and no more than 10 are allowed to be exhibited overseas at a single time, according to State Administration of Cultural Relics regulations. Wu said that as an international common practice, some of China's most treasured cultural relics, such as the Bronze Chariot and Horse from Emperor Qin — which is considered one of the best bronze artworks in China — are not allowed to be displayed overseas. "Those (Terracotta Warriors) are priceless. This should be a felony," commented netizen Su Mo on Weibo. "This is how the American legal system runs — a judgment made under the separation of powers and the liberal democracy," Leng Huaping posted. Hong Xiao in New York and The Associated Press contributed to this story.